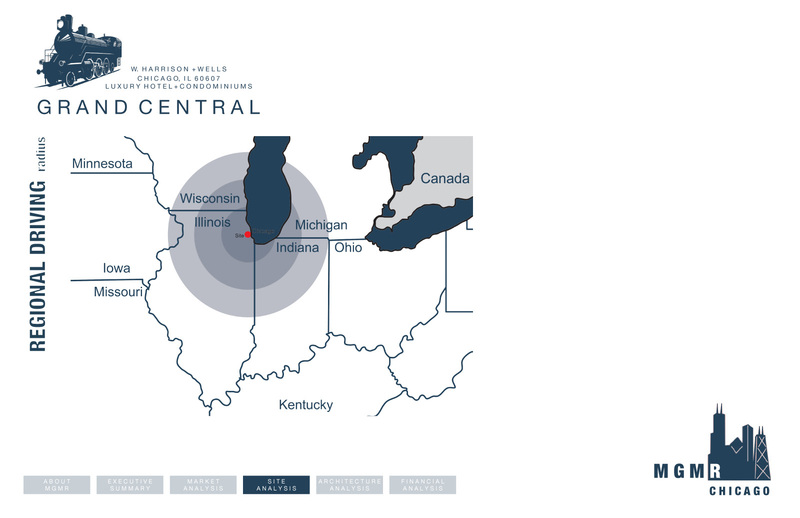 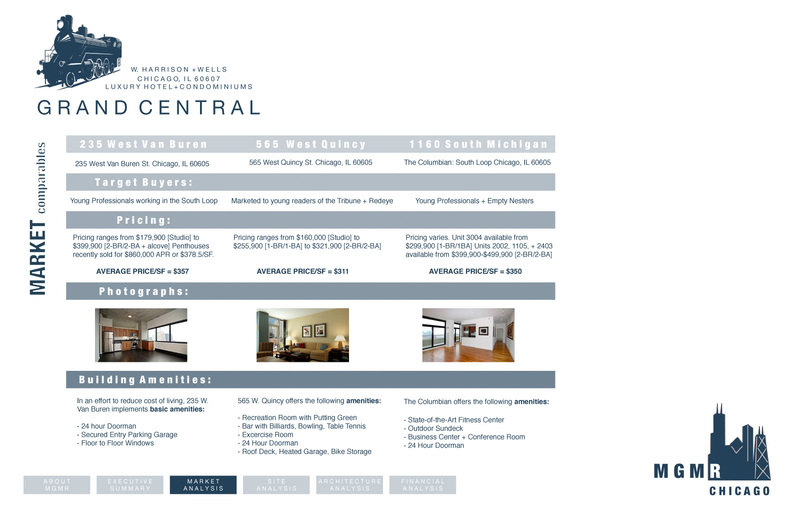 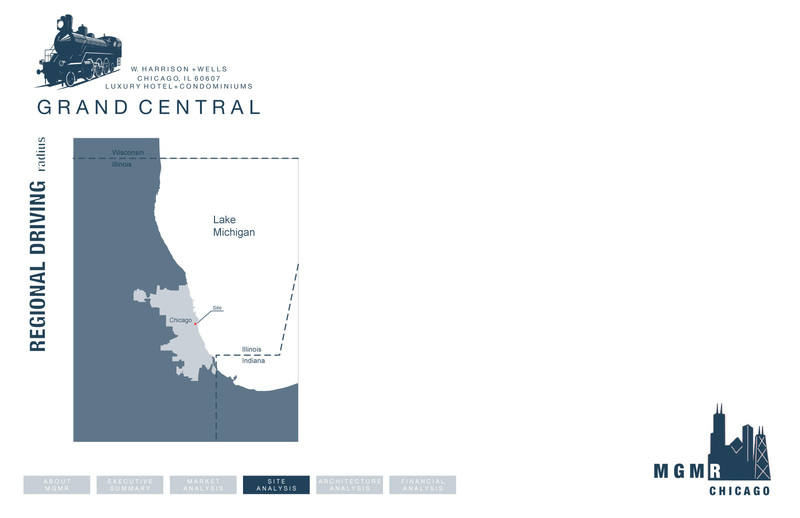 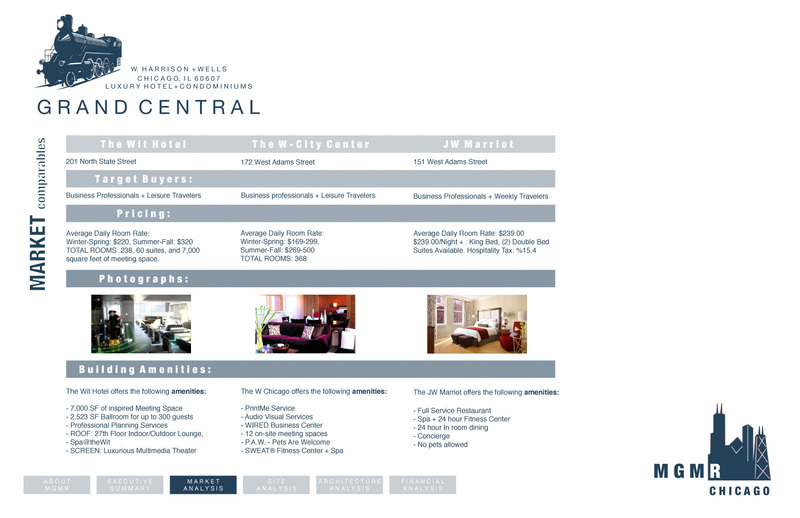 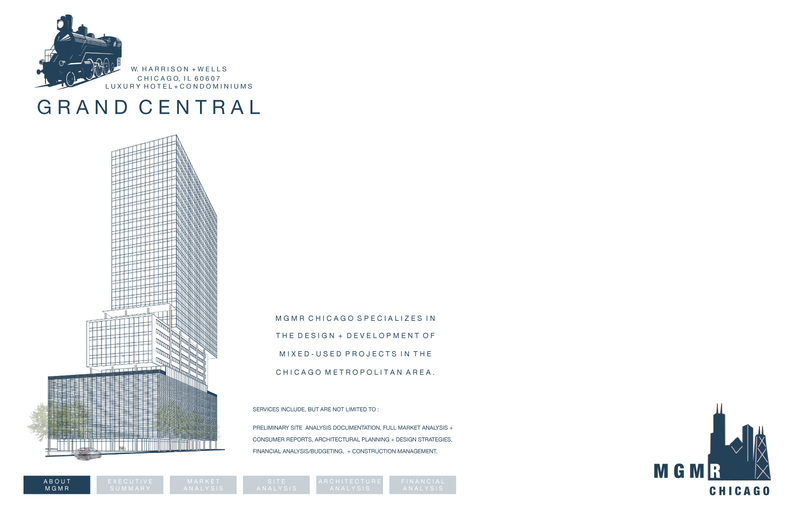 The Grand Central Hotel + Condo in Chicago was a project undertaken by a group including myself as part of a final demonstration of topics mastered during a class concerning real estate finance fundamentals. 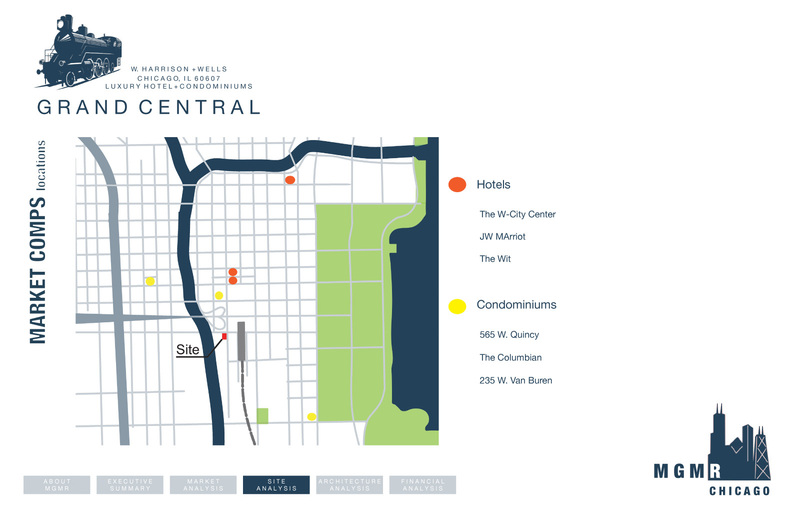 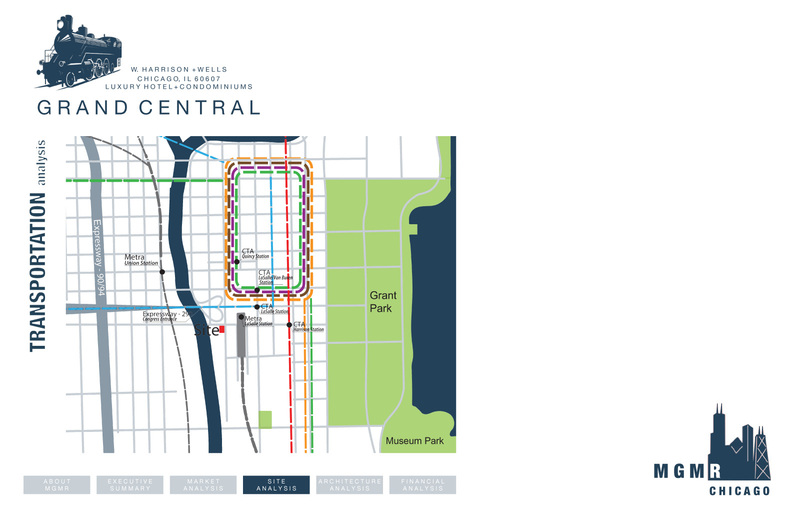 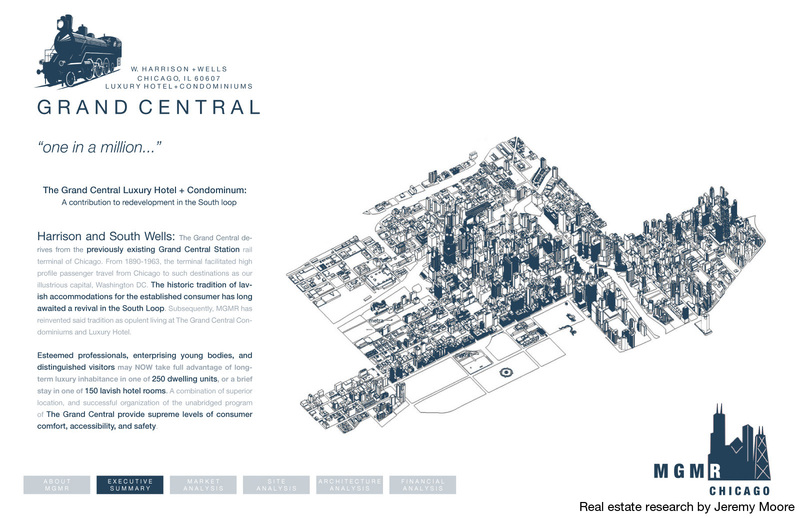 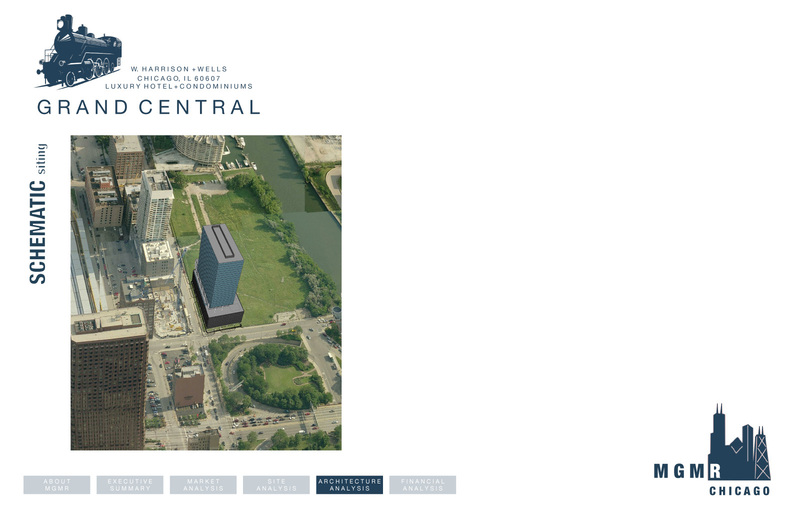 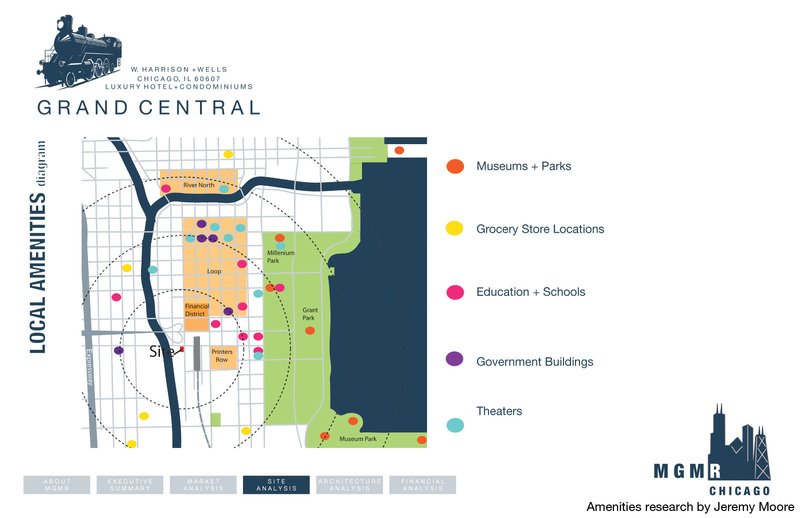 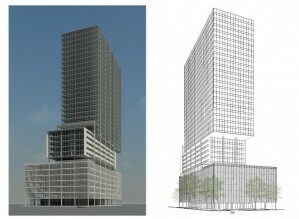 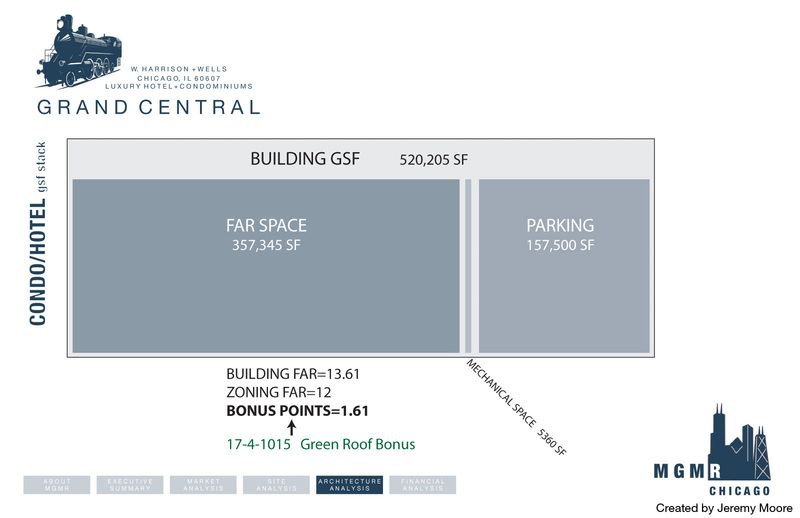 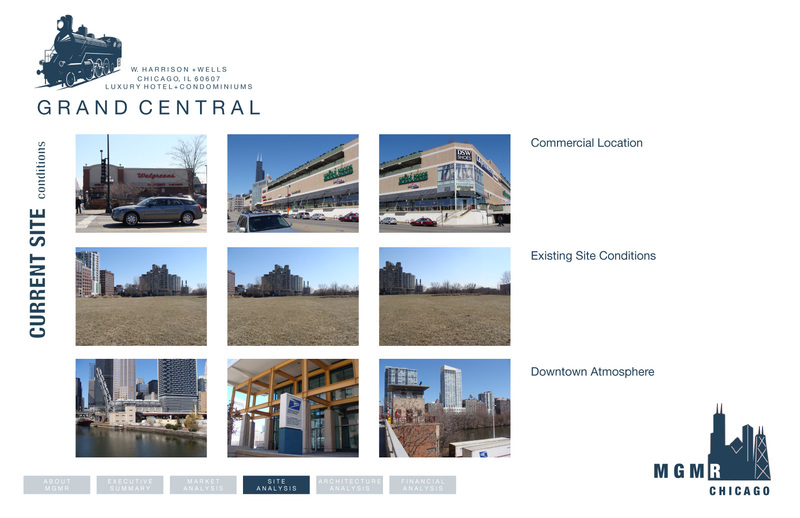 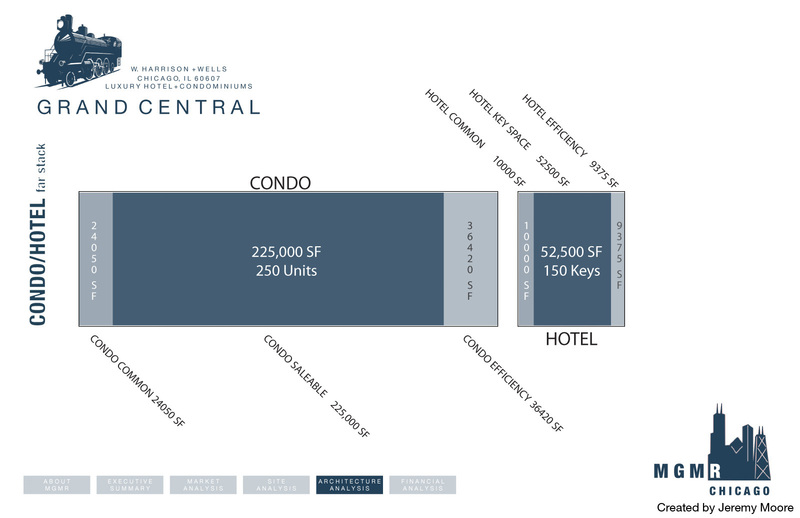 The challenge involved developing a mixed use retail/hotel/condominium project in the South Loop of Chicago just south of the Congress Parkway and east of the South Branch of the Chicago River. 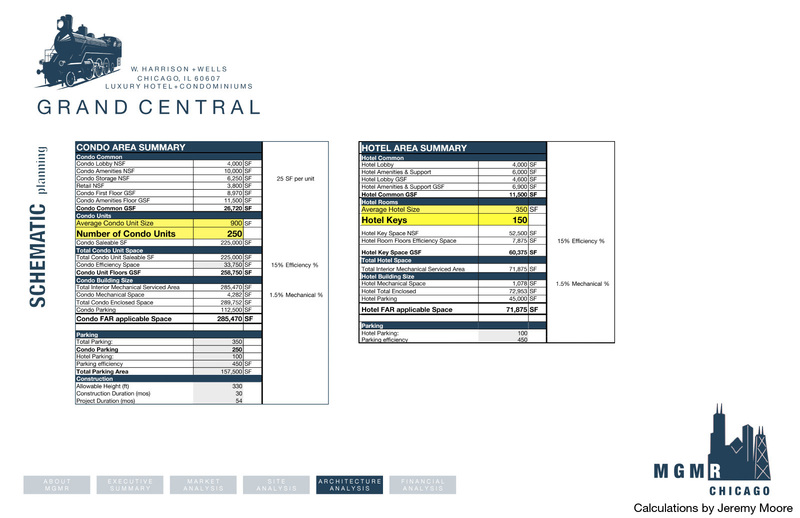 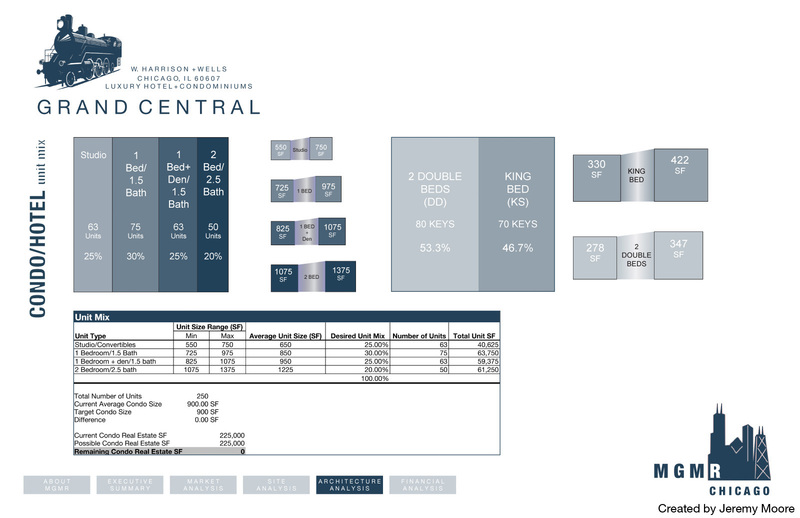 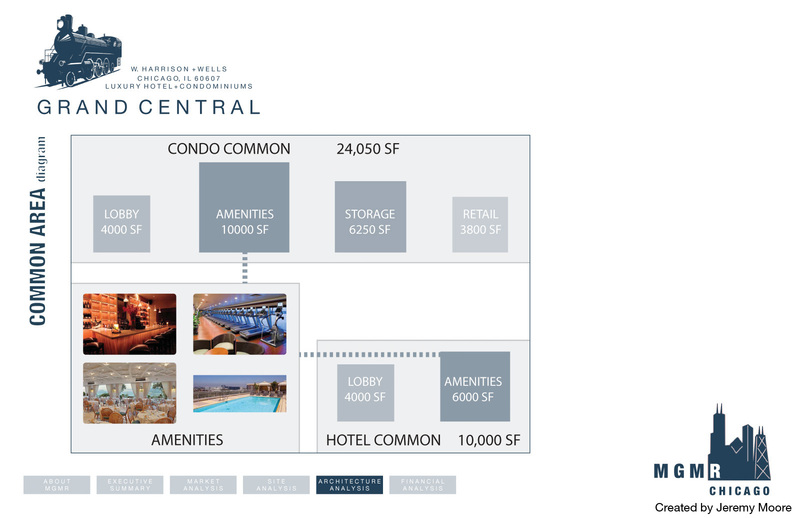 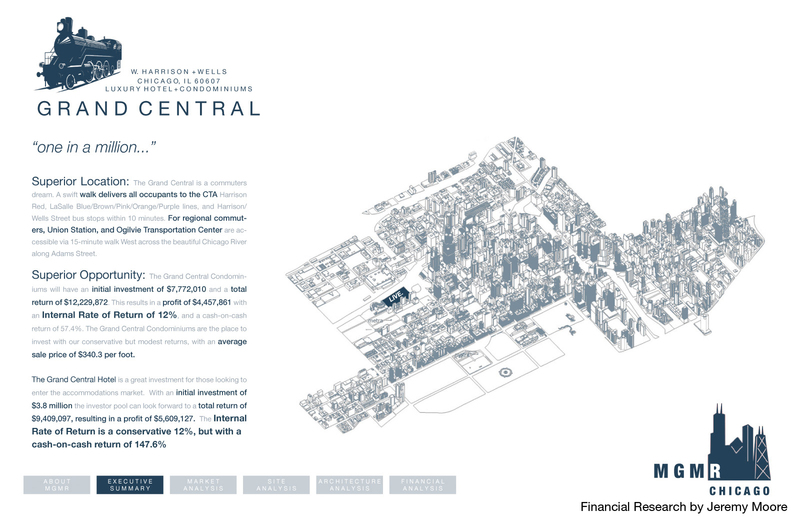 My contribution focused on the financial and space allotment aspects of the project, determining the precise size of hotel and condo units as well as the unit mix in both components in order to provide a conservative yet appealing financial return for investors. 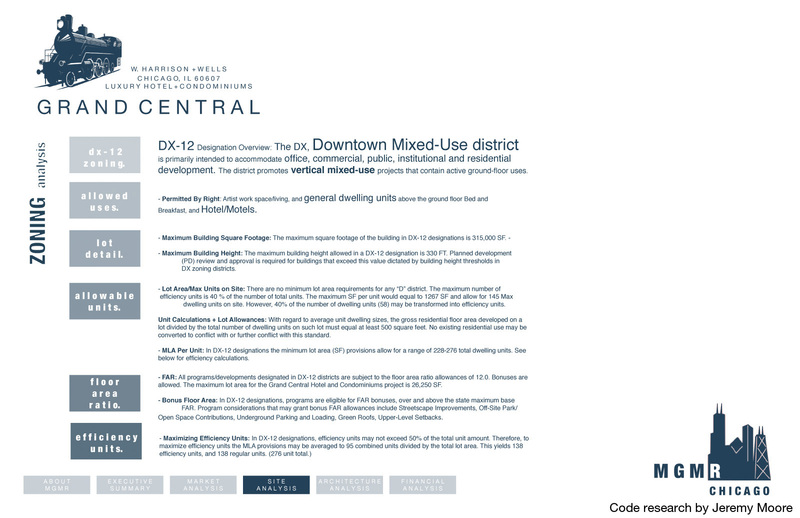 This involved extensive zoning research to determine how to maximize building space and revenue while remaining within municipal provisions.